To Dr Michael Hall – chiropractor, functional neurologist, researcher, educator and father of five – the issue of chiropractic, stress and mental illness is intricately and inextricably linked. While the percentage of people who present at our clinics with a stressor would be high, it’s impossible to pin an exact number on it. Many in the area of research attribute stress in nearly 90% of all chronic illnesses . The numbers on stress-related illnesses such as hypertension, depression and anxiety, however, are a little clearer. His approach doesn’t involve the end-organ discussion about particular symptoms though; it all goes back to the brain and vagus nerve – two things that, according to research, chiropractic can have a very real impact on. It’s a statistic that should shock us. But depression and anxiety are not the only manifestations of stress on the body. These manifestations could be too innumerable to name, so Hall looks to basic science, and an issue that has been linked to chiropractic in past and recent research. The first is that whether it’s the medical world implanting vagal stimulating devices, or chiropractors stimulating the vagus nerve through adjustments (especially cervical adjustments), there is a growing appreciation for the role the vagus plays. From epilepsy, to gut function and many things in between, the three types of vagus nerve (the smart vagus, the myelinated vagus and the unmyelinated vagus) are a big deal. The second is that research plays a specific role, and looks through a specific lens. This doesn’t always serve us well when it comes to understanding individual manifestations of stress physiology. This means that we need to look to basic science and research together in order to understand the link between chiropractic and mental health. It’s a whole of body issue, not a mental issue alone. “Often, research is trying to answer a singular question,” says Dr Hall, as he talks about why we don’t see a lot of mental health and chiropractic links on modern research literature. “It’s trying to answer “If I do this, do I see this?” Yet functionally, we may need to take a different look at how stress interacts with the individual. According to Dr Hall, the adjustment and removal of subluxations may have a powerful impact on stress, but so too can the expectation of a nice experience with your chiropractor, the hope that you will feel better after you leave, and the general ambience of the clinic as you enter and wait. Which is it that lowers stress? We can’t tell. What we can tell is that it makes a difference. “Look at the recent heart rate variability study by Hass et al of 6 people who with chiropractic care and management over the course of the year experienced lowering of their blood pressure as well as improvement in other biomarkers . Basically they lowered their stress. Was it the adjustment?” Or was is it the act of going to the office? Giving the patient a healing refuge? Giving them a glass of water. Having a nice chat to the staff? I can tell you, I have some patients who don’t want to leave the office. It’s their quiet refuge from the stressors of the day. So this could impact stress too,” says Hall as he explains the potential benefit of the full chiropractic experience and not just the adjustment in isolation. “Stress patterns can either be the result of a top down interference or an outside in interference. If I drive a truck for eighteen hours a day, I can develop subluxation patterns in accordance with my driving style and that affects the neural input to my brain. If I’m a finance officer and I hate my job, that can cause subluxation patterns consistent with a dysfunction in top-down processing. These are examples of physical or mental stressors. But the effect of trauma is something that should be considered in stress, subluxation and sympathetic activity as well. What is this AV brain that Hall refers to? As we know, the sympathetic side of the autonomic nervous system is the one that deals with the body’s fight or flight functions. It throws us into a neurological and physiological state of stress. What’s the alternative to living out of this audio-visual brain that has a specific bent towards sympathetic activation? “The higher brain is the biped brain – the brain that has us walking upright. We have a frontal lobe that can help us evolve and say, “It’s a pretty nice day outside. I think I might go for a walk and go see my friend Joe.” If not, we have the AV brain, which is very temporal, very occipital lobe and very anxiety producing – [too much time here in the AV brain can logically lead to] low vagal tone, low heart rate variability, low stomach acid, etc. as opposed to what we are designed to be which is social. This brings Dr Hall to the growing number of teens who don’t want to get out of bed because they are too anxious or depressed, and who represent the fastest growing demographic when it comes to mental illness and suicide. Research has shown that social relationships improve health. Where does chiropractic come in? Here Dr Hall emphasises the importance of stress tests in clinic. This is how we know how effective exercise will be for people (check out last weeks stress series vlog for that). Chiropractic care is about looking at the whole picture, and understanding that subluxations impact neurology, which impacts physiology, but the human need for movement and social connectedness impacts all of the above. We can’t separate these factors. What we can do is empower the patient with knowledge, and lower their stress not only through the adjustment and removal of subluxations but through their entire chiropractic experience. The chiropractor should be involved across the lifespan of health, and not just in a localised pain-connection model. We can check and adjust for subluxations, and through this stimulate the vagus nerve. 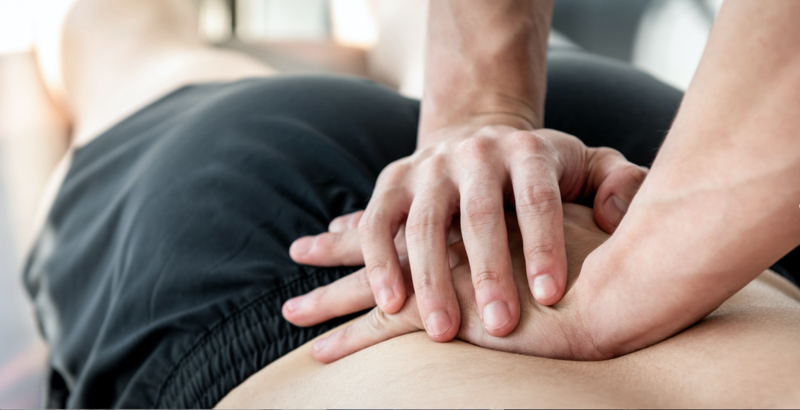 We can use stress tests in clinic to make sure that exercise is having the desired effect, and we can advocate for a whole-of-life approach to health – one that involves movement and social connection in a subluxation-free state of being. But where do we start, when it comes to talking stress, subluxation and health with our patients? “First of all we address the elephant in the room: our emotional distress is claiming our health,” he says. This can lead us to a discussion of how it all fits together, and that when we are subluxation free, we get more benefit from exercise, we stimulate vagal tone, and the whole system works better. This brings us to the gut brain, the vagus nerve and how the simple assessment of whether someone is “friend or foe” matters greatly to our whole system – even our gut health. But for that, you’re going to have to wait until next week!